Looking for a refreshing drink to serve at your next party? 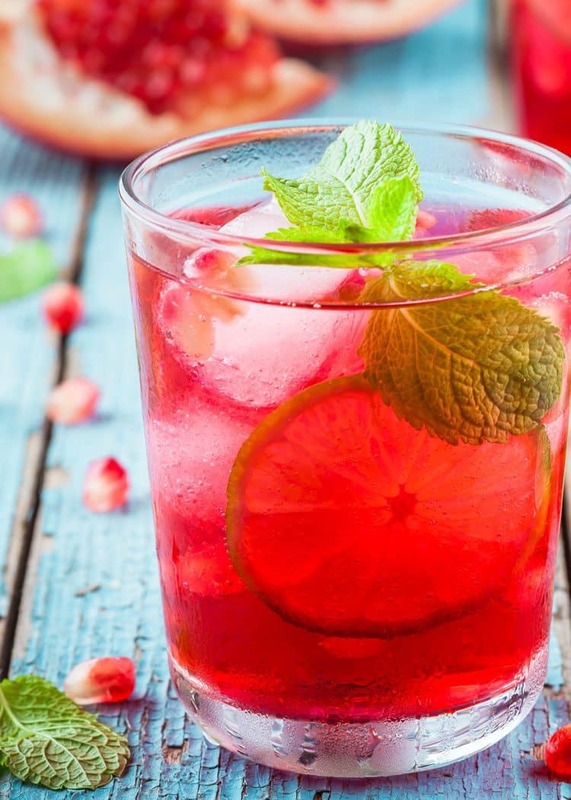 This Pomegranate Punch is the perfect recipe for all you party drink needs. The version we are sharing below is sans alcohol, but you could always dress it up with a splash of rum or vodka if desired. We love serving up party drinks, and we’re always being asked for them. We have a few favorites–Strawberry Limeade Rum Punch is a huge favorite. Long Island Iced Tea, Mojitos and Tom Collins are other favorites. Now that you have the perfect party drink, you’ll also want to have a few appetizers on hand. 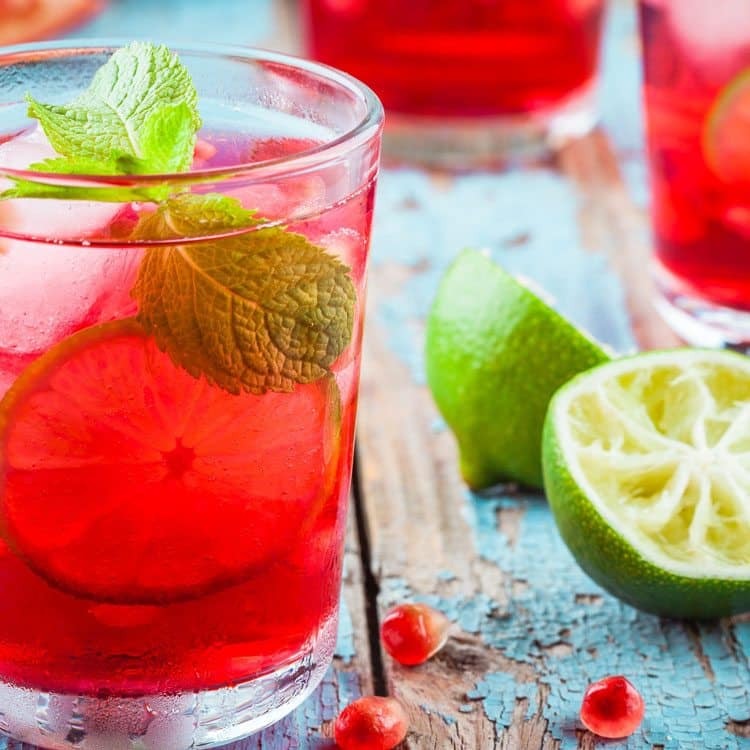 Something salty is exactly what is needed when you have a thirst quenching punch recipe on hand like our Pomegranate Punch. Try Copycat Chipotle Corn Salsa, Chunky Guacamole or Black Bean Salsa alongside some chips. Now that you have your party menu planned, all that is left to do is set a date and invite your guests. Because we all know that you don’t really need an excuse to have a party. Time to have an amazing party. Enjoy this amazing punch recipe alongside our appetizer recipes and you’ll be relishing in the sweet and savory flavors that are right there for you to enjoy. Put the drink powder into a punch bowl. Pour the water into the punch bowl and stir until the powder has completely dissolved. Add the club soda and mix well. 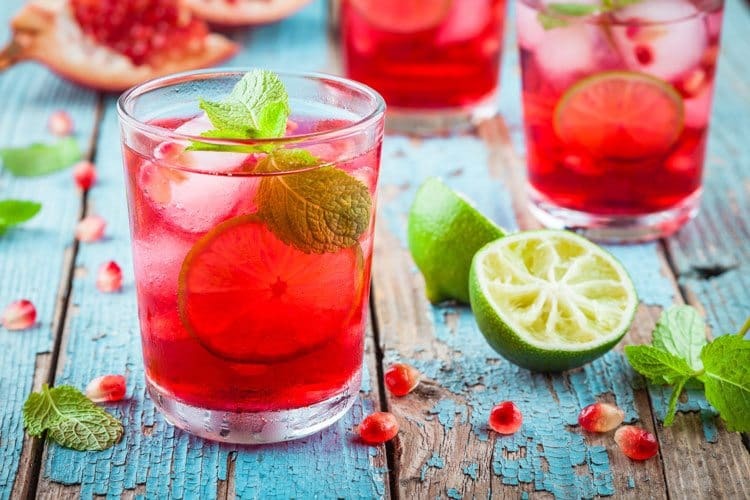 Pour in the cranberry juice, lime juice and orange juice and stir until all the ingredients are incorporated together. Add the crushed ice just before serving.